Snow Diamond Select Lot #10! 1x Champ, 6P Monarch son with lingering fineness! Having admired his offspring for many years now, we were thrilled to acquire half of Sub-Zero from our friends at Tripping Gnome Farm late last year! To us, Sub represents yet another layer of genetic depth that we can now cross in aggressively with the progeny of Archangel, Messiah, SuperNova, Precocious, and Elite Legend. 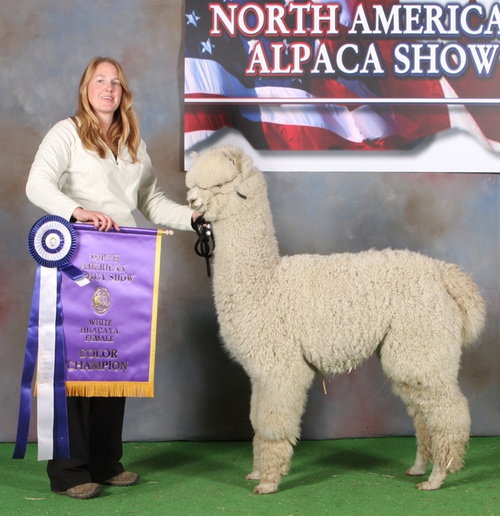 Multiple Champion white daughter of the mighty MFI Peruvian Precocious! 19x Champ, Proven Multiple Champion Elite Herdsire. 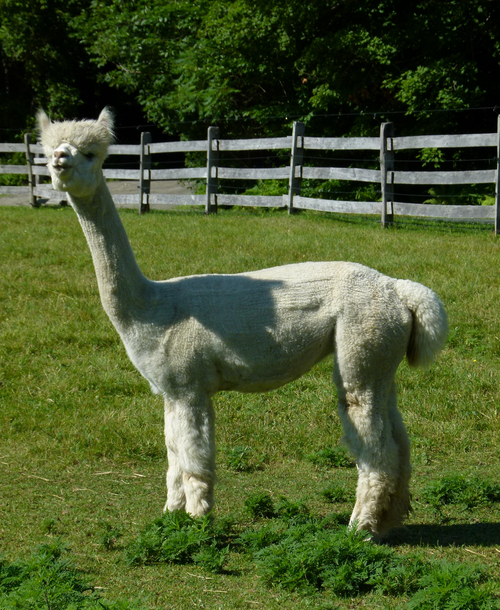 Amora was the third daughter born to Champion female CCNF Flirtatious, all of them sired by our 6P Monarch son, Snowmass Sub-Zero. 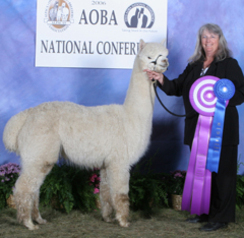 Here’s where the plot really thickens though: her eldest sister, Daliance, when bred with CCNF Elixir (2017 & 2018 Futurity Herdsire of the Year) produced a young white male named Bataclan, who now has 2 Futurity banners to his name, was just crowned the White Male Champion at the 2018 AOA National Fleece Show, and is quite literally the next big thing in our white breeding program. 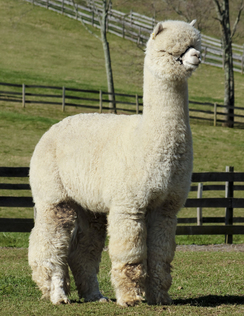 That said, we are proud to offer CCNF Amora bred to Elixir for a 2019 cria! She’s got the fleece, she’s got the conformation and presence, and she most certainly has got the pedigree to back it all up.